I'm a newbie to this forum and so....take my recommendations for what they are worth. There is a book by Marie-Louise Von Franz called Shadow and Evil in Fairy Tales. It is actually the transcription of the lectures that she gave to her students so it reads, well, like a College Lecture, so it's about as bone dry as humanly possible to imagine...BUT, if you can tolerate reading through the first 40 pages or so,it becomes fascinating. She was the protege of Junge. She takes fairy tales from all over the world and she starts looking at them as expressions of the communal consciousness of the people that created them. It's not only looking at each fairy tale but more looking at the same fairy tale told for hundreds of years by different cultures and the fairy tales are almost exactly identical with minor variations that have profound implications about the consciousness of the people propagating the thought. Thanks for recommending the books that others have shared. If you are a man, and you are unafraid of discovering uncomfortable truths about how you have been molded by society in general and feminized masculinity in particular, then I implore you to read this book. It lays before you a blue pill and a red pill. But don't say I didn't warn you. 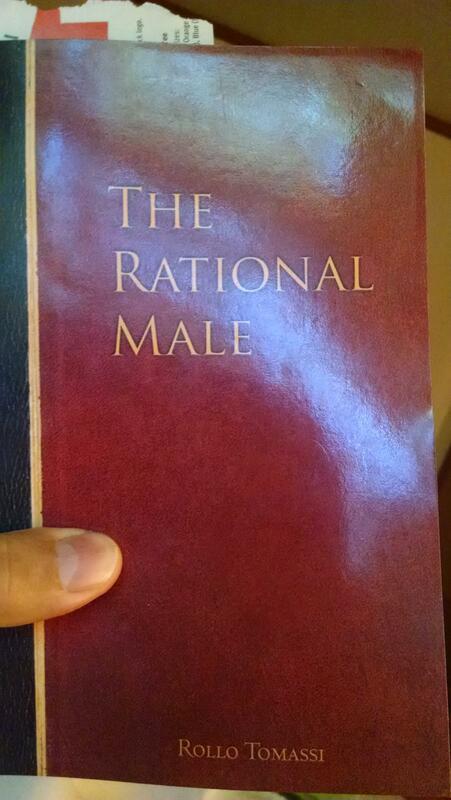 "The Rational Male" by Rollo Tomassii. This book WILL alter your mind and open your eyes. Rollo Tomassii? That's the guy who gets away with it! Yes, I suppose he took his pseudonym from the movie "LA confidential". Or from the metal core band of the same name. Not sure. Another interesting book. Got me a first edition hard cover copy of Paul Huson's "Mastering Witchcraft". This is not your average fluffy new age Wiccan book, this is a raw, no holds barred witchcraft book. It's available as a free PDF online but I got the hard to find original for four bucks at a used book store. Edited by SteampunkScientist, 17 November 2016 - 12:59 AM. I know this is an old thread but I like books, so ner. Life changing books for me 1) Eat to Live by Joel Fuhrman - good science! 2) Lifetide by Lyall Watson (made me switch from my arts degree to science) 3) The Road by Cormac McCarthy (permanently rewired/broke my brain, took many years to recover from reading it). Many years ago, I read Lyall Watson's book, Supernature. I really loved it, though I can't remember any of it now. For me, the books that took me for a real ride, and one I am still on as my thinking being, are those of Immanuel Velikovsky. [WARNING] Reading and appreciating those books can get you thrown out of the Science Club. Edited by Alder Logs, 03 March 2017 - 12:56 AM. 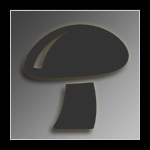 Edited by fungi2bwith, 03 March 2017 - 01:28 AM. This thread was opened in 2014 and I'm glad it's still kicking. Tails said it best, "so ner" lol. There are so many interesting titles here and I can't wait to dive in myself. Thanks to Spooner for having opened this can of worms, and to everyone else whose posted. If I end up reading a title you've suggested, I'll PM you with a quick thanks. Alder, I wouldn't concern yourself or feel bad, you definitely come across as erudite and articulate, so you've obviously managed to acquire good info through other channels. If you hadn't mentioned that you weren't an avid reader, I never would have guessed it. Hephaeatus already mentioned Joseph Campbell, so I'll skip it, but anything by him is worth a look. I went back to the beginning to see what I'd missed. Henh. I forgot that I had posted here. Should have remembered those 8,487 posts, eh? you're not the only smart person ever to entertain Velikovsky, he was good mates with Einstein. Here's a funny story for you. When I was an insuffrably precocious ¬8year old, all the kids had to have their reading level evaluated by reading aloud from a book of their choice to the school librarian. Revolting pretentious prat that I was, I read to her from 'Worlds in Collision'. I think I'm blushing right now!! Edited by tailsmcsnails, 04 March 2017 - 08:36 PM. Humans not enough for you, eh? Seriously, I almost couldn't read at eight. I wish I could have, and then I am glad I could not. If I could have, the likelihood would be that I would have just gotten the programming like most everyone else. I would be stuck, agreeing with Newton and have no chance to get science to the next level, and it will be a quantum leap, once they backtrack to nearly the beginning and start over. the subtle art of not giving a f*ck... it has a pretty brutal name but it is a very good book. idk how old your daughter is but it is a good one! The Family, Private property, and the State. This is an interesting analysis of the historical and anthropologic development of our current monogamous model. Understanding the evolution of family and private property certainly pokes holes in most of the arguments for gay marriage, while also poking holes in the religious objections to it. Surely You are Joking Mr. Feynman. Richard Feynman.